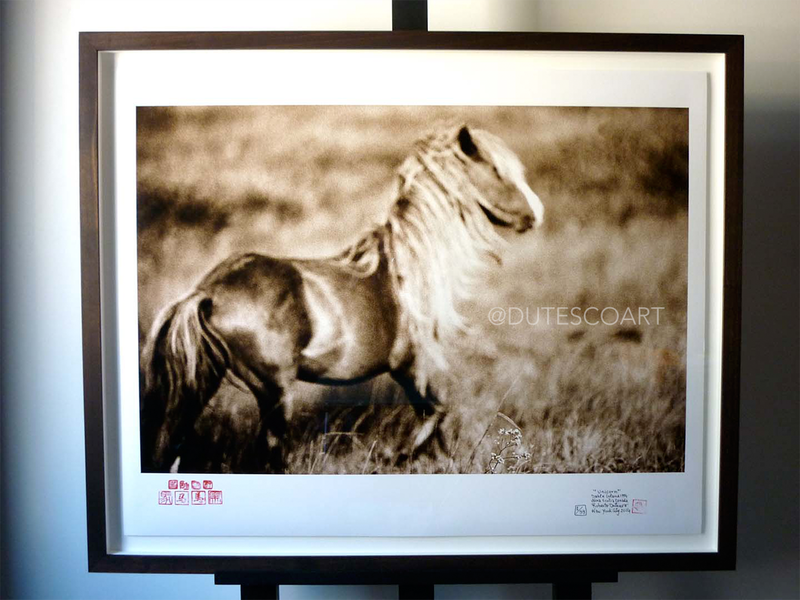 For those looking for a unique version of The Wild Horses of Sable Island®, Special Annotated Works add a new dimension to each print in our collection. 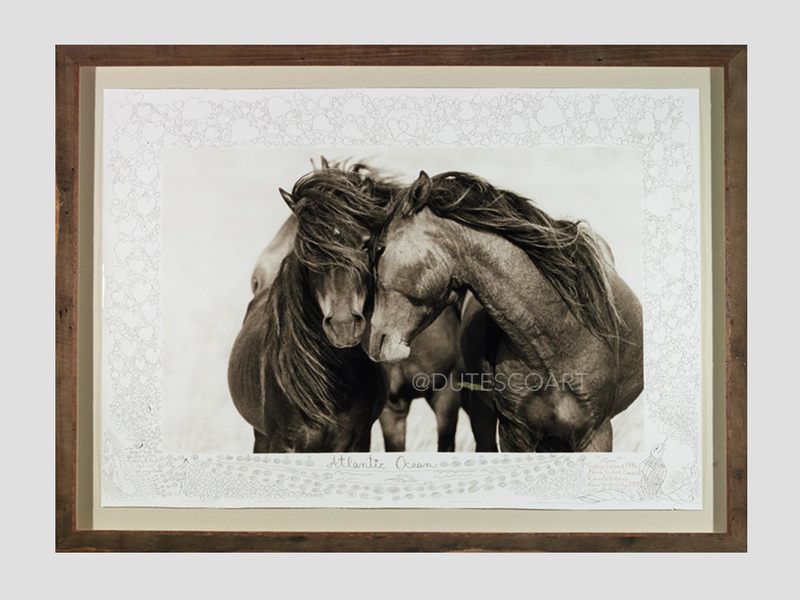 Hand annotated with original one-of-a-kind illustrations by Roberto Dutesco, each print tells the story of Sable island and it’s horses in a new and original way. View examples of annotated works below and contact the gallery for additional information. 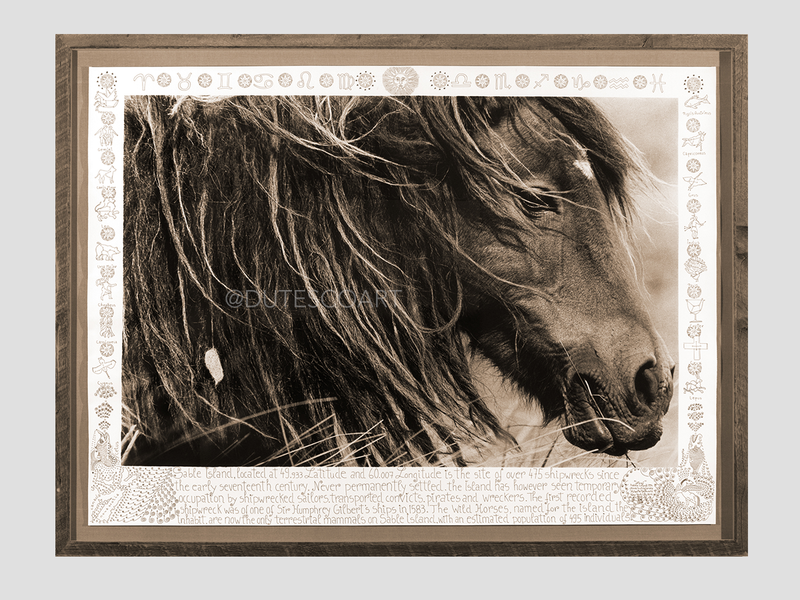 All prints in The Wild Horses of Sable Island Collection® can be annotated. 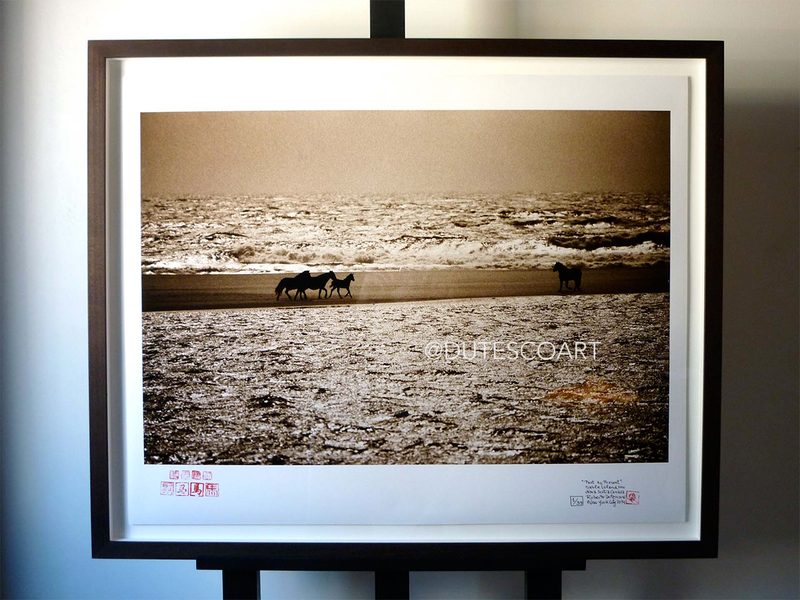 For an even more personalized experience our Co-Created Artworks brings you and your stories directly into the photo-works. 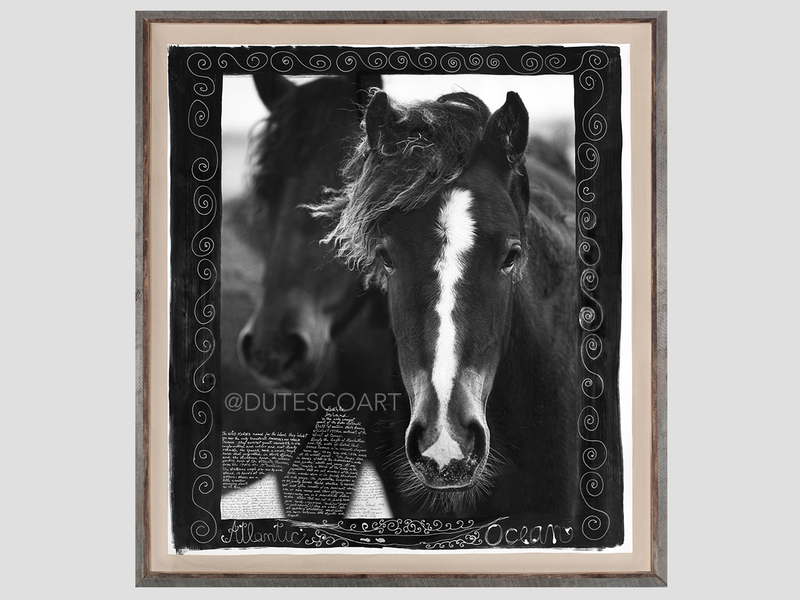 Get more information about Co-created Artworks HERE or contact the gallery. 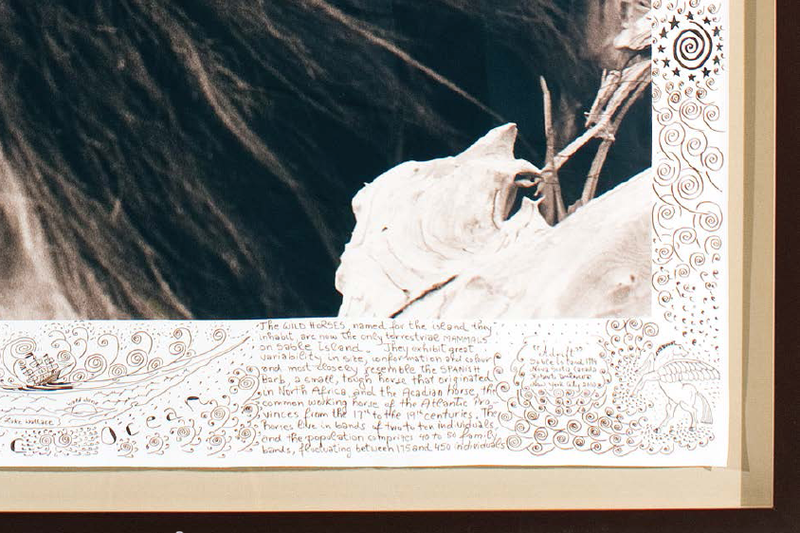 All the prints in the collection can be annotated. 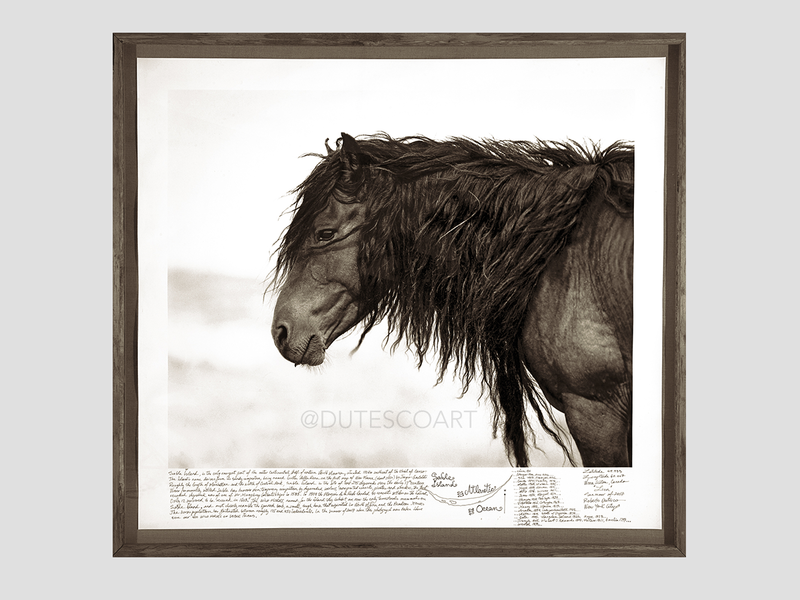 If you are interested in creating a custom annotated work please contact the gallery. 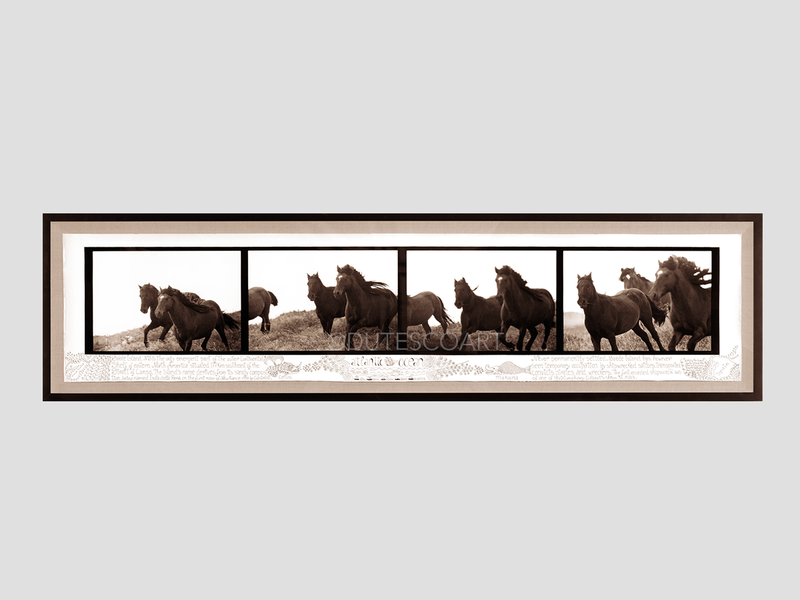 Leaf (H-28) is available is custom and large format sizes. 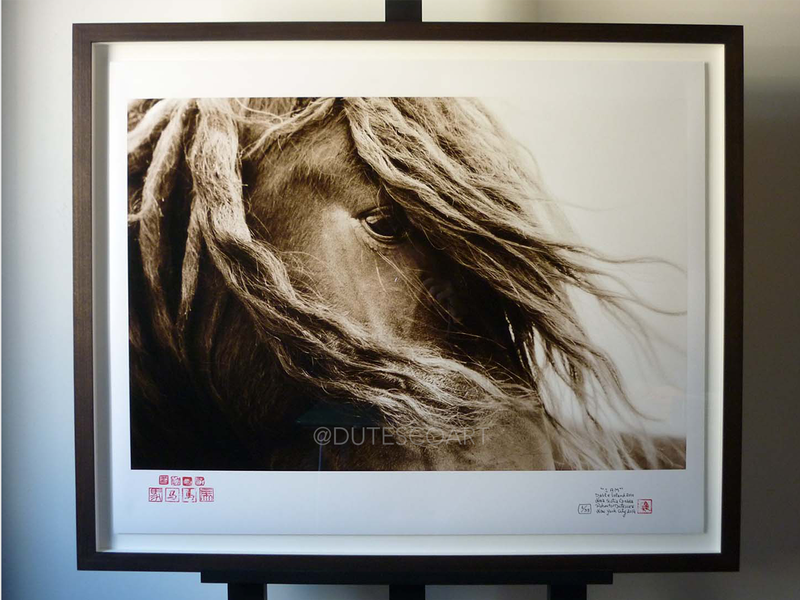 Lion (H-57) is available is custom and large format sizes. 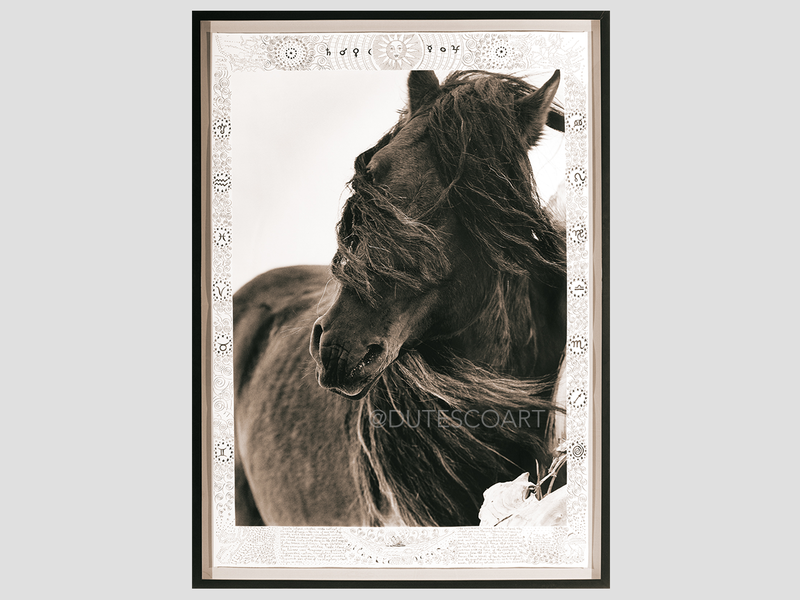 Adrift (H-31) is available is custom and large format sizes. 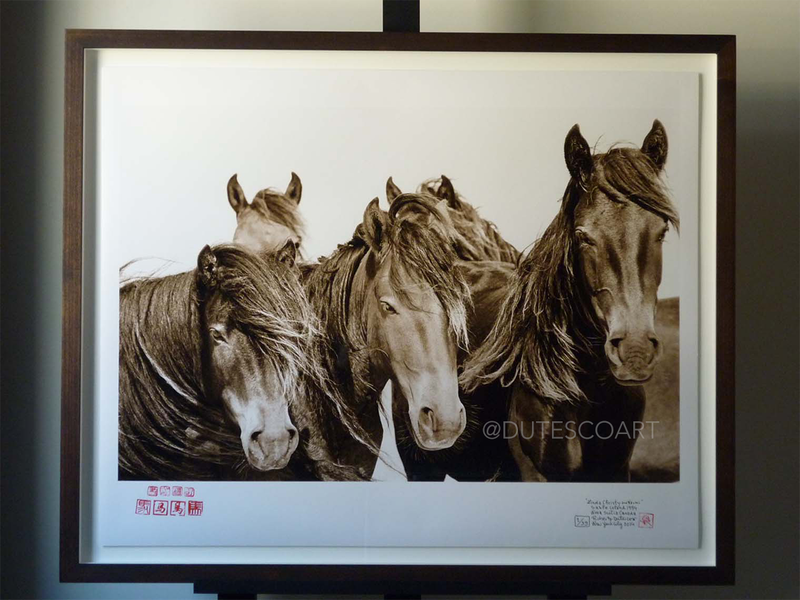 She (H-33) is available is custom and large format sizes. 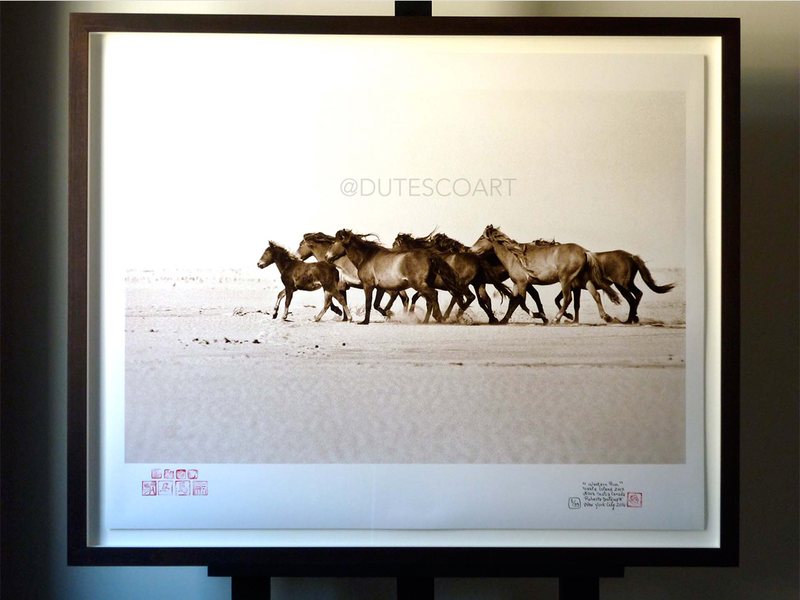 Across Dunes (H-35-4) is available is custom and large format sizes. 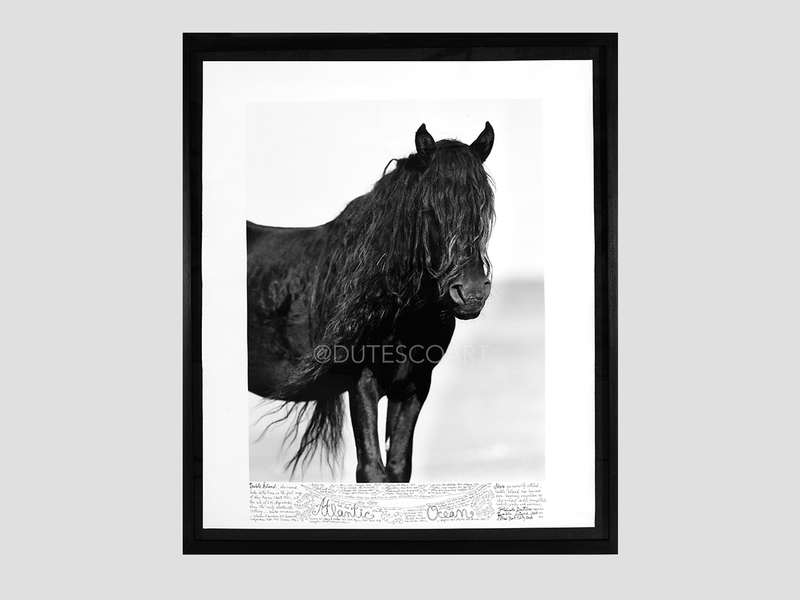 Black Iron V (H-135) is available is custom and large format sizes. 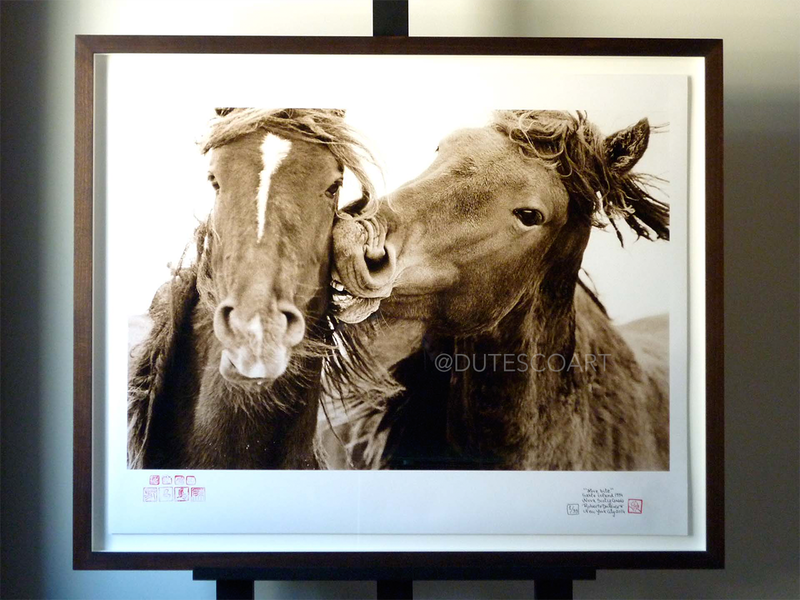 Love (H-11) is available is custom and large format sizes. 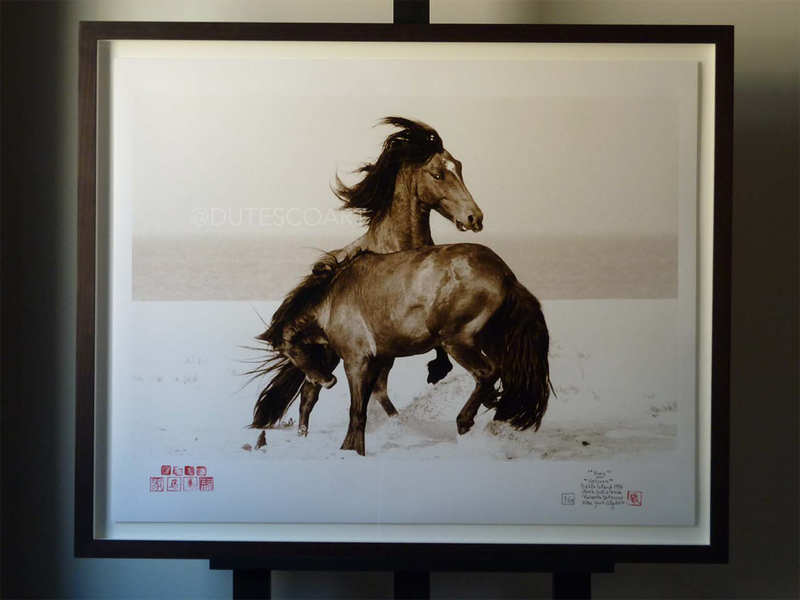 Love Bite (H-5) is available is custom and large format sizes. 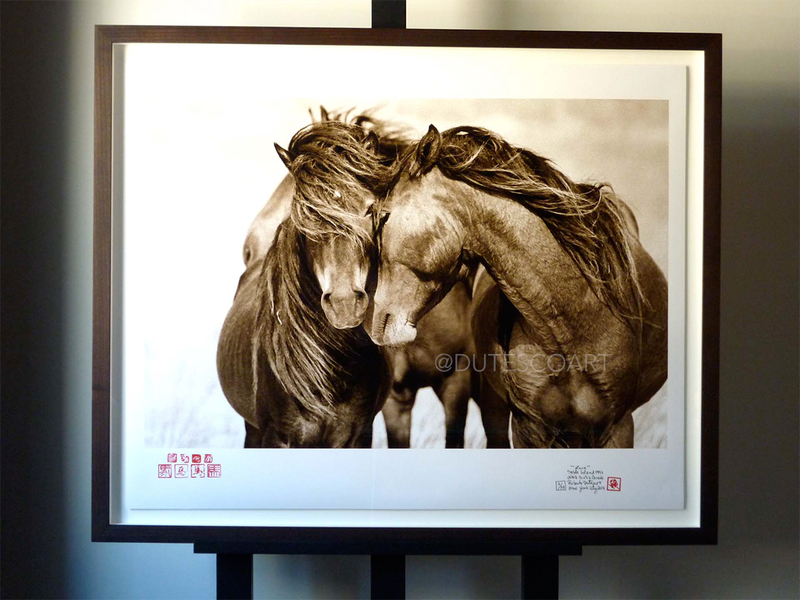 Available in limited quantities available, this special edition annonated series celebrates the Year of the Horse. 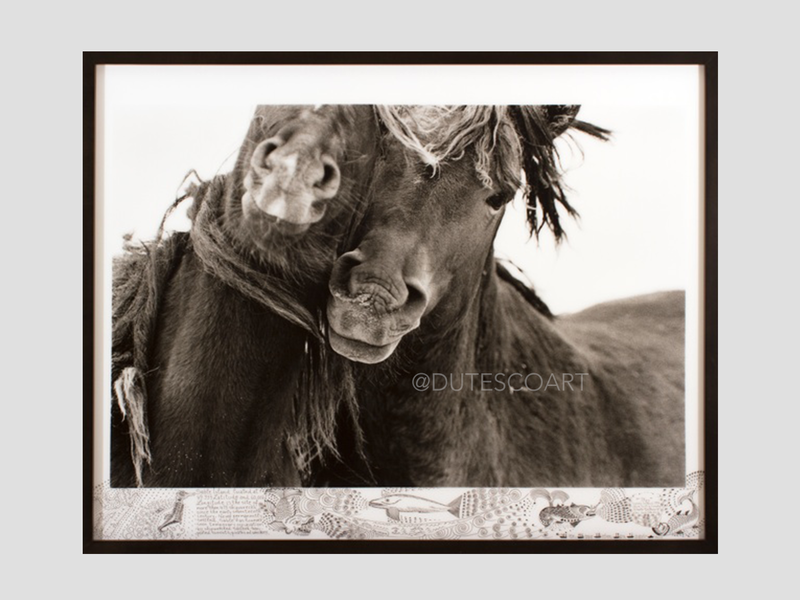 DutescoArt.com features original works by internationally acclaimed artist Roberto Dutesco and his 25-year journey to capture the beauty and undisturbed freedom of the Wild Horses of Sable Island®. 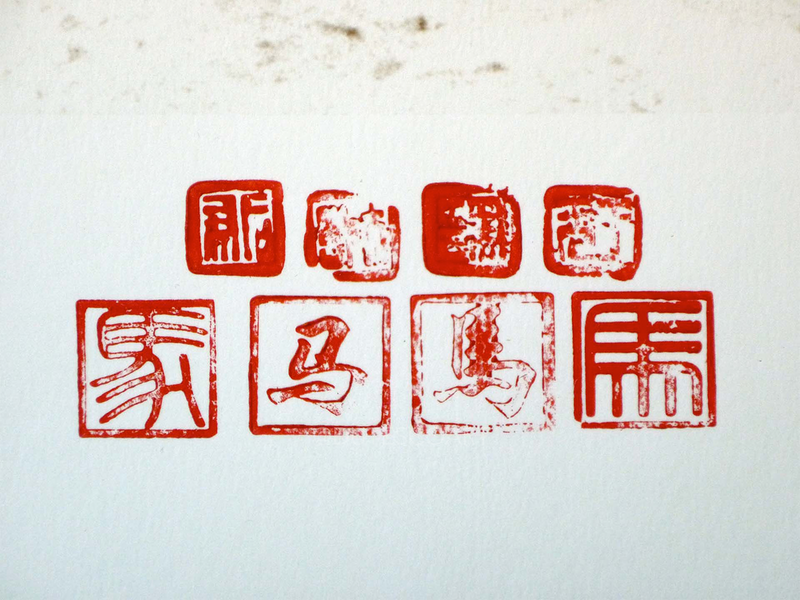 Get regular updates about Roberto's work, news, offers and invitation to exclusive events.